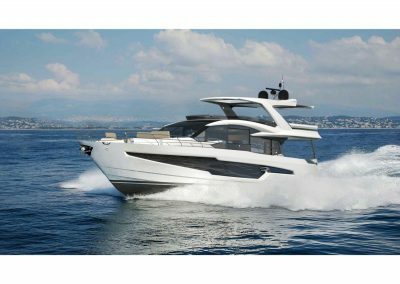 The 680 FLY will debut in 2018 and join the latest, fourth, generation of Galeon models and introduce some exciting new features to the segment. With a lightweight construction taking advantage of carbon technologies its powerful, yet elegant frame will offer commendable performance and great handling. 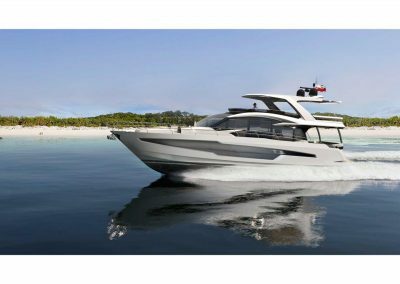 On board the 680, passengers will find incredible volume, a bright and welcoming interior and a highly customizable, luxurious finish. 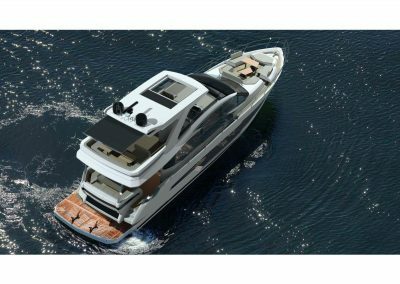 A large saloon with a designated entertainment area and two separate stairways leading down below to four guest cabins were designed to ensure comfort and privacy. Outside, the guest will be able to find respite in several leisure areas on the top deck, bow and in the cockpit. Up front, the sundeck feature can be transformed into a seating area with a touch of a button, so it can be used even during light cruising. The vast flybridge is sure to impress and accommodate even a dozen guests, all protected by the carbon bimini top – smart! 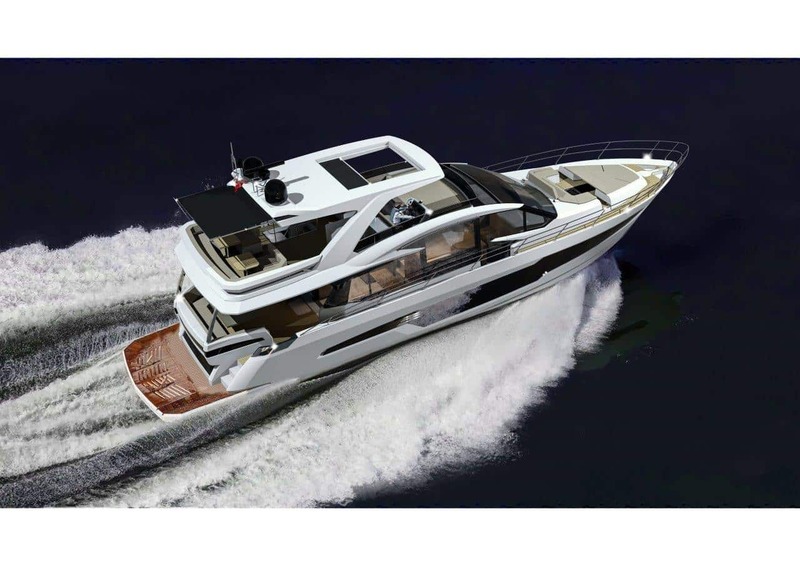 A selection of powerful engines and a comprehensive list of additional equipment will allow future owners to create their perfect yacht that will turn heads in amazement and become a benchmark for others to follow.